Multiple jobs can be worked without the needs of sending the equipment back to the batch plant. You will mix what you are going to pour only. Ideal for a remote location or when the batch plant cannot be installed at the job site. Reducing the amount of concrete waste and minimize shortages by mixing the amount you need. 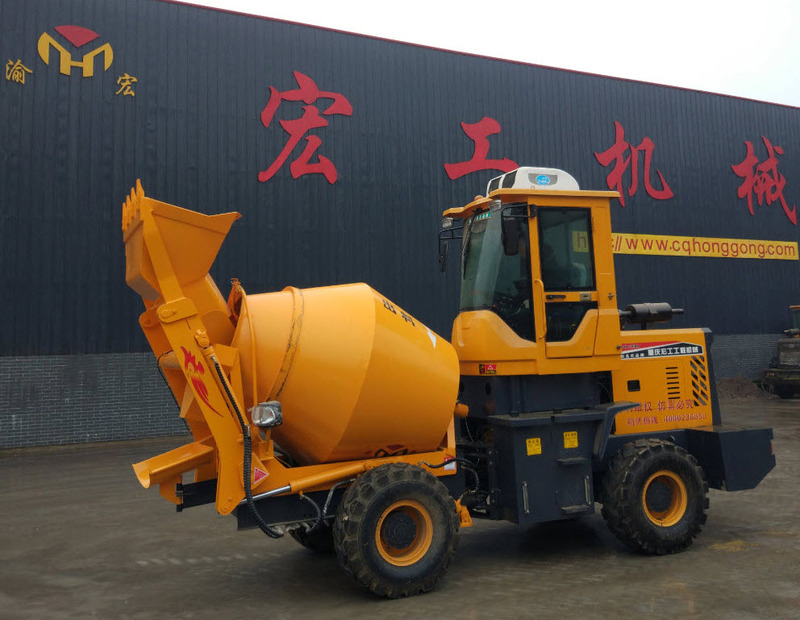 The efficient Drum Type Mobile Concrete Mixer just need one operator to drive, load, and mix raw material while moving it. It has a higher working efficiency, higher mixing effect. At the same time, it greatly reduces the labor cost and working time. Looking for ideal Concrete Mixer Machine Manufacturer & supplier ? We have a wide selection at great prices to help you get creative. All the Concrete Mixer Tractor-mounted are quality guaranteed. We are China Origin Factory of Mobile Diesel Concrete Mixer. If you have any question, please feel free to contact us.